In the morning, we went to Terralink Horticulture to scope out the organic vermiculite and peat moss prices, and to see how the bales would fit in our car. 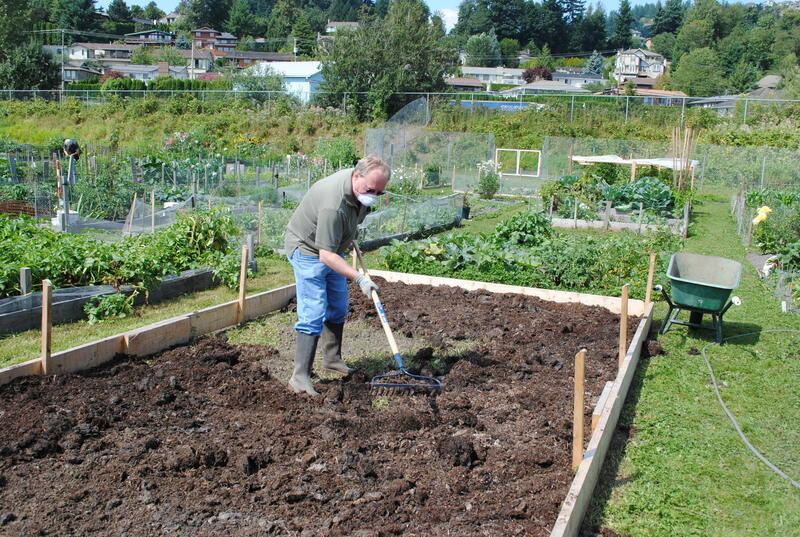 After lunch we went to the garden to finish the mushroom manure layer. Today, we both manned the wheelbarrows. For the most part, Jim shovelled and I raked. When we finished, the plot had another twelve loads on it for a total of seventeen. The mask helped to filter the air Jim was breathing as he shoveled and raked the mushroom manure.